IBC24 is a media and news organization. Its Head office is in Raipur, the state capital of Chhattisgarh. This channel is providing primarily regional news of Madhya Pradesh & Chhattisgarh besides national, International, sports and other main news of public interests. Our wide network of reporters in rural and urban areas has made us one of the most reliable news channels of Madhya Pradesh and Chhattisgarh. We have a history of providing reliable news in matters pertaining to local, national and international significance. Many times our onscreen coverage has been picked up by various national and international news channels. Especially our coverage during Dantewada Naxal attack on CRPF jawans and during the Naxal attack on the motorcade of Congress leaders and the massacre that followed at Jhiram Ghati (also known as Darbha Ghati Massacre). 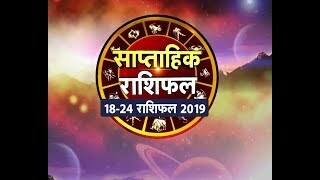 साप्ताहिक राशिफल, पंचांग, Today's Panchang, आज का पंचांग, Today's Horoscope - Aries, Taurus, Gemini, Cancer, Leo, Virgo, Libra, Scorpio, Sagittarius, Capricorn, Aquarius, Pisces. मेष, Mesh, वृषभ, Vrishabha, मिथुन, Mithun, कर्क, Kark, सिंह, Singh, कन्या, Kanya, तुला, Tula, वृश्चिक, Vrishchik, धनु, Dhanu, मकर, Makar, कुंभ, Kumbh, मीन, Meen.